Gina: Lucas, what are you doing in here? Lucas: My life has reached its pinnacle. Joe is letting me close the store tonight. Q: What is the first song during the opening credits? i dunno. theres just something about this movie. yeh, in actuality, its probably dreck. 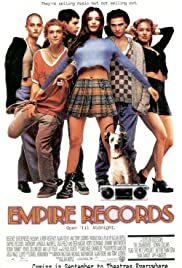 its probably worthless and people probably wont remember its years and years from now when they start making out the lists of '90s movies that changed the sphere of moviemaking. for me, this movie really does capture the feel of the mid-'90s. i was like these people once. 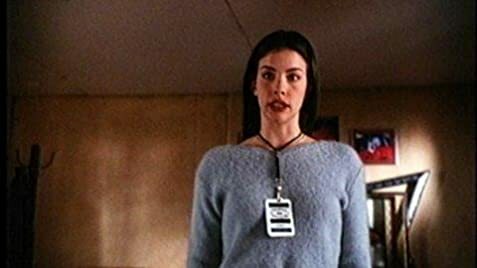 i wore an outfit scarily like the one liv tyler sports (although without the hideous unders combo, im sure), i knew people like every one of the 'archetypes' from the movie and i really, really wanted to work in a record store. hasnt everybody? and doesnt everybody want there to be a cool record store like this in their town? i guess for me it is a nostalgia thing, but i watched it (again) the other night with my boyfriend, and we both still laughed during the funny parts and cuddled during the sweet parts and, well, danced during the dance parts. its just fun to look back on such a 'time-period' movie like that ... the clothes, the attitudes, the music even ... how good is it to hear the gin blossoms again, eh? im sure many would disagree, but for someone who was right there when it was all happening, so to say, its a gentle reminder of the days before mtv committed suicide, before liv tyler started making 'real' movies, and when phrases like 'whats with Today, today?' could travel through a junior high faster than mono.